FRANKLINTON, NC (WTVD) -- The Franklinton Police Department has charged a second person as an accessory in the shooting death of a woman Sunday evening. According to an arrest warrant, 26-year-old Jasmine Alexandria Murphy drove Garry Yarborough to Raleigh despite knowing he had allegedly just murdered his estranged girlfriend Tracy Williams. Murphy is now charged with accessory after the fact to first-degree murder. Garry Yarborough and another man are taken into custody. 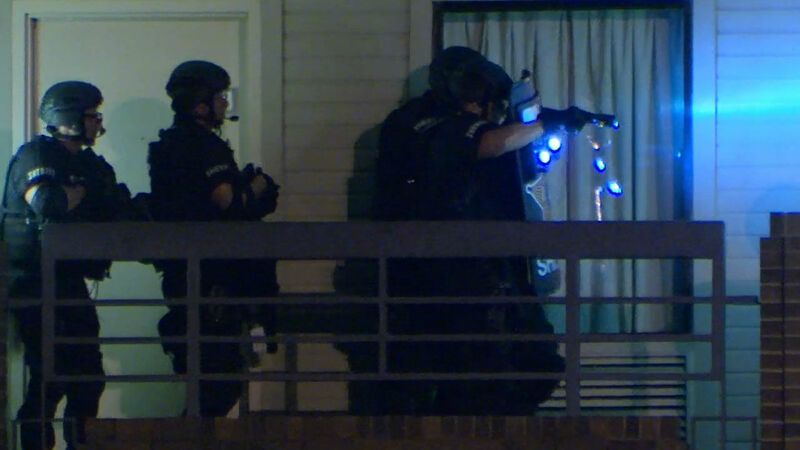 Yarborough, of Zebulon, surrendered peacefully to authorities in Raleigh around 5:30 a.m. Monday after a SWAT team surrounded the Days Inn Raleigh Glenwood-Crabtree in the 6600 block of Glenwood Avenue. Franklinton Police Chief John Green said Yarborough was taken to WakeMed to be treated for a gunshot wound he sustained Sunday evening during an altercation with Williams. Green said Williams shot Yarborough as he attacked her around 5 p.m. in the parking lot of a Food Lion on U.S. 1 near a Cash Points ATM. He said Williams' gun then jammed and Yarborough fatally shot her. When officers arrived at the scene, they found Williams in front of the ATM with two guns, while the suspect's gun was missing. They believe she was trying to defend herself. An eyewitness said she heard arguing before the shots. Police said Yarborough fled the scene to Cornerstone Drive and fired into a home. They said he then forced a nurse living there to help him with his injury. According to an eyewitness, the nurse living there said Yarborough wanted her to bandage him. A short time later, police found the Yarborough's black SUV torched along Halifax Road in Franklin County. 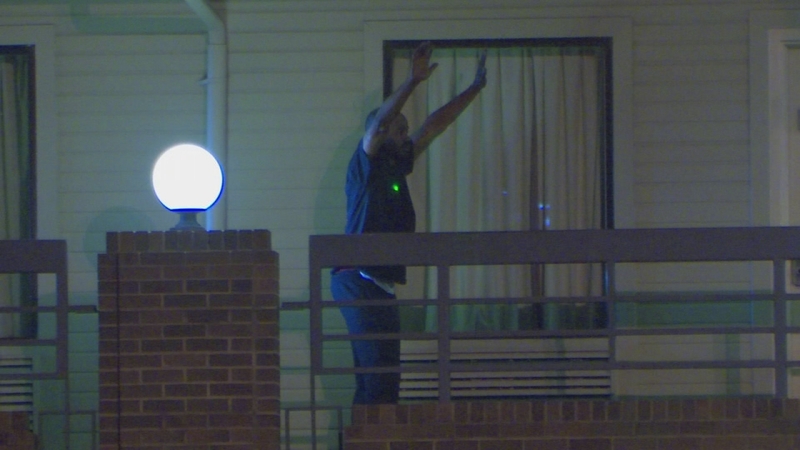 At the time of his surrender, Yarborough was seen in exclusive video captured by ABC11 limping as he raised his hands in the air. After he was released from WakeMed, he was taken to the Franklinton Police Department and charged with first-degree murder in Williams' death. Another man, Josiah Oakley - who the police chief called an accessory in the crime - was also taken into custody at the hotel. Meanwhile, authorities have said there are documented complaints of domestic abuse within the past year between Yarborough and Williams. In April, a warrant was issued for his arrest in Johnston County on assault charges after he allegedly bit her and held a knife to her throat while threatening to kill her. Earlier this month, she sought a protective order against him. Yarborough has a lengthy criminal record including drug charges and accessory to a murder. In all, he's been arrested for various alleged offenses 89 times.